Solid construction, the ability to convert into three different beds and a timeless design all make the AFG Naomi 4 in 1 Convertible Crib in Espresso a great value. 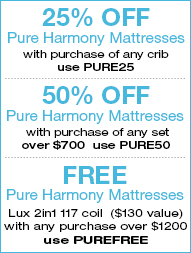 This uniquely designed crib is durable, built to last and meets safety specifications while providing baby with comfort. The Espresso finish and sleigh design are noticed right off the bat while the wide slats, solid pine construction and three position mattress support make it easy to see baby, as well as. having baby sleep safe and comfortable. A three bed conversion is a simple matter of using the included toddler rail for daybed and toddler bed, while the full bed will need an additional full bed conversion rail along with the crib rails as headboard and footboard. 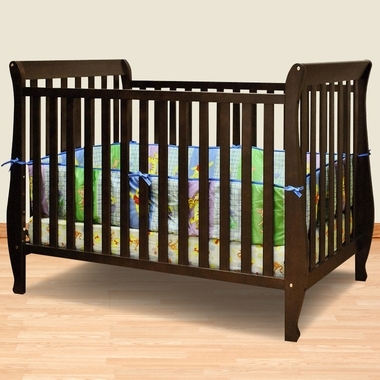 This convertible crib will give your toddler his/her first grown up bed and will last into the teenage years easily.